AWESOME R NINE T SCRAMBLER "X" ABS!! 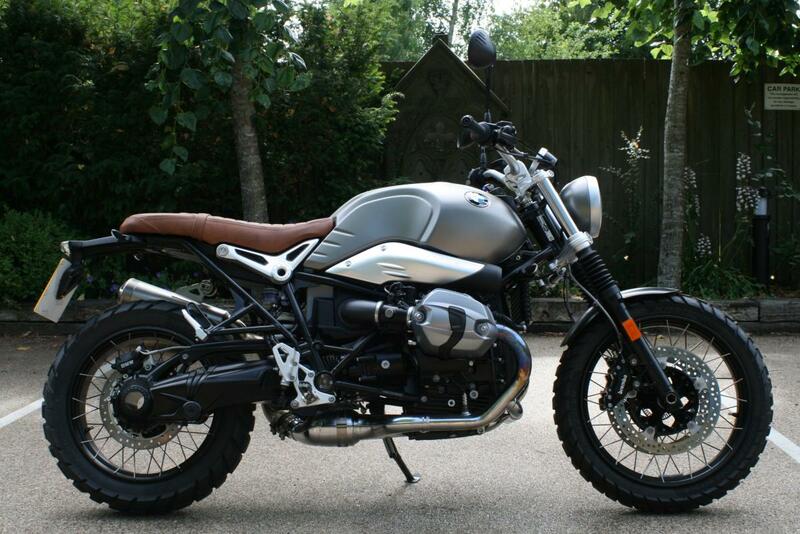 We are thrilled to be able to offer you this superb R-Nine-T SCRAMBLER X ABS. In "like new" condition, this bike is a joy to ride and eats up the tarmac and dirt alike. Easy to ride, great fun and a brilliant all rounder. Low rate finance is available on this bike, credit subject to acceptance. BMW's super 1170 cc SCRAMBLER X. Two private owners from new this bike boasts a very low mileage and is offered in superb condition. Break away and accelerate toward freedom, experience new things and enjoy the rush of wind, with the BMW R-Nine-T Scrambler X ABS. A rugged bike with that authentic scrambler look, combined with the innovative technology and familiar quality of BMW Motorrad. Whether in the city, on winding country roads or on the beach, the potent opposed-twin engine and high-positioned dual silencers deliver powerful acceleration and an unmistakable sound. Even long trips with two people are a breeze thanks to the relaxed seating position. The R-Nine-T Scrambler X harks back to the legendary scrambler era and has all the hallmarks of this extraordinary type of motorcycle: a telescopic fork with bellows, a distinctive raised exhaust and a large 19-inch front wheel. The compact steel tank in Monolith metallic matt highlights the puristic look. The cross-spoke wheels with studded off-road tyres make it clear from the first glance that no tour need be over when the road comes to an end. The seat in leather style and the speedometer with analogue display are also eye-catchers. High-quality details like the round headlights with BMW emblem make the classical heritage look perfect. Low rate finance is available on this bike, credit subject to acceptance. For a no obligation finance quote please call, 01747 811196 and select option 1 for sales. Thanks for looking! !